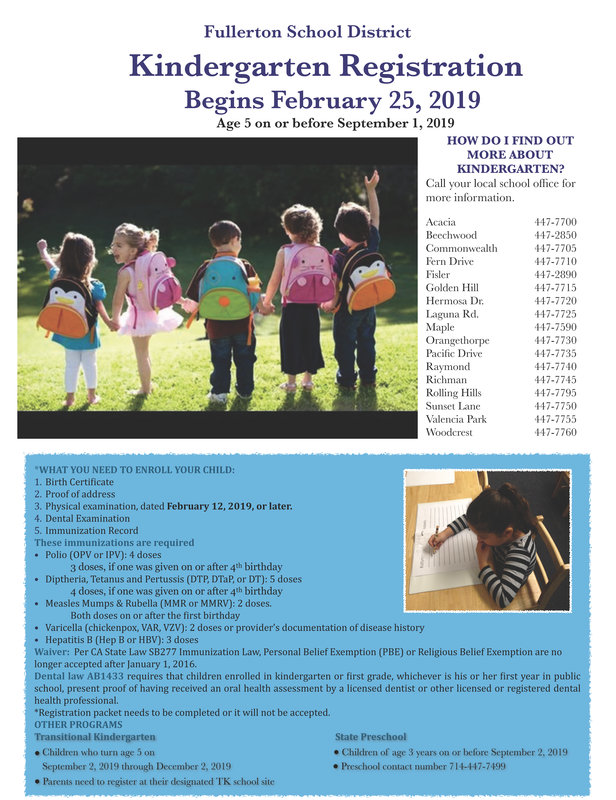 Kindergarten and TK registration for the 2019-20 school year will begin on Monday, February 25, 2019. Please contact or visit your school of residence to begin the registration process. If you wish to attend a school other than your school of residence, please visit your home school between January 14, 2019 through February 20, 2019 to request an open enrollment application.